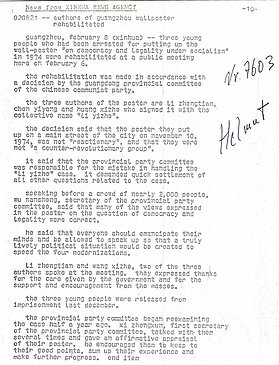 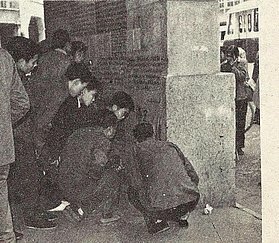 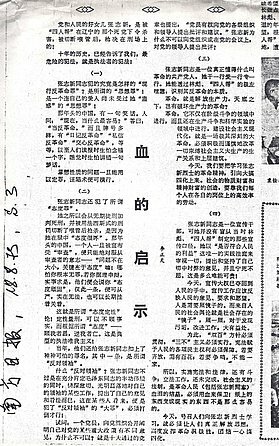 Dispatch by the official "New China News Agency" (Xinhua) from Feb. 8, 1979, reporting the rehabilitation of authors of the dazibao. 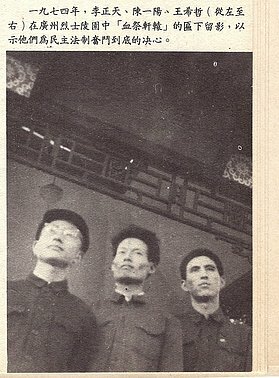 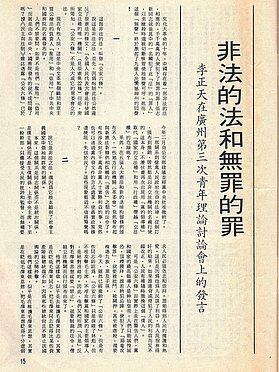 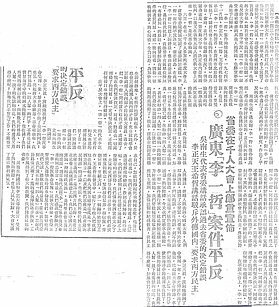 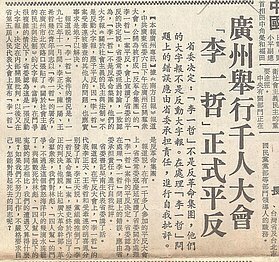 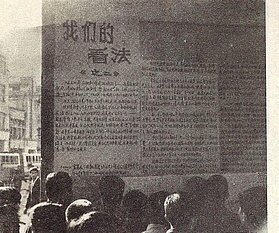 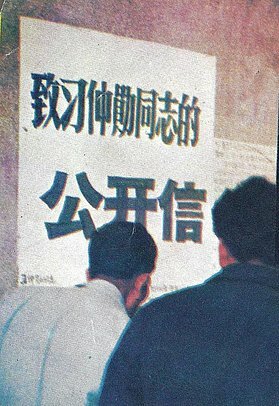 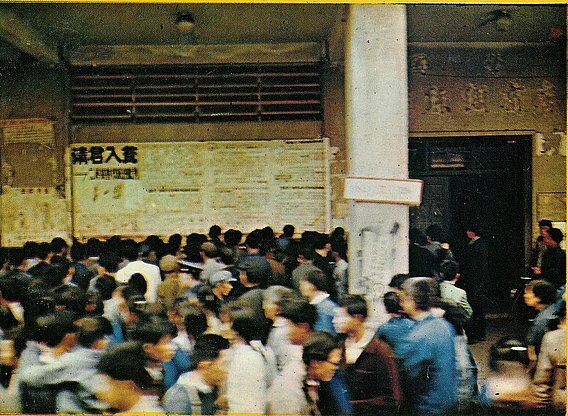 "Mass Meeting of More Than 1000 People in Guangzhou - 'Li Yizhe' officially rehabilitated" - front page report by the communist Hong Kong daily "Wen Wei Po"
The second CCP led Hong Kong daily "Da-Kung-Pao" reports on the release of the Li Yizhe Group the same day in an article from Guangzhou by a special correspondent. 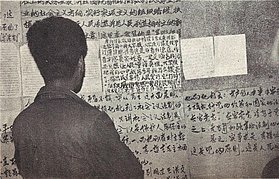 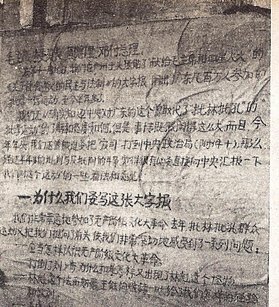 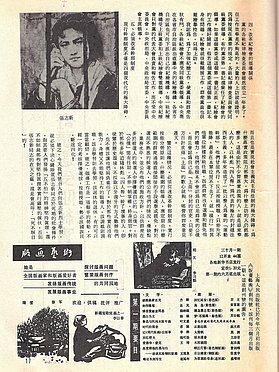 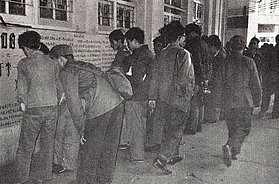 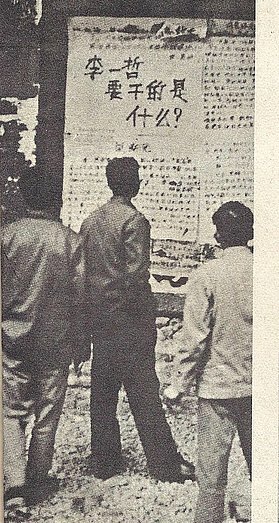 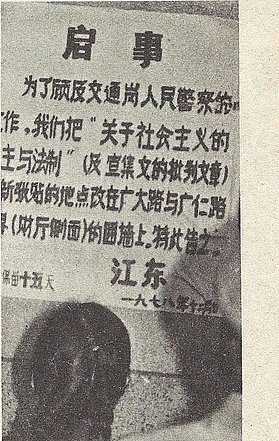 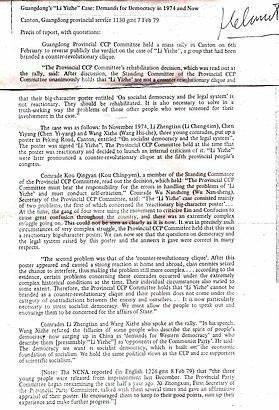 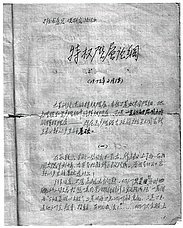 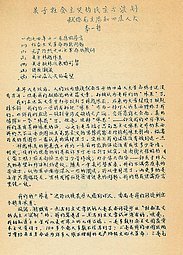 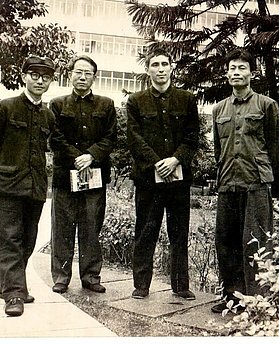 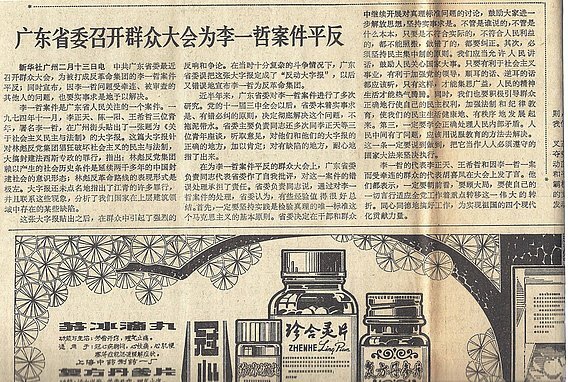 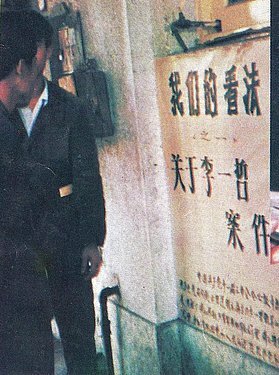 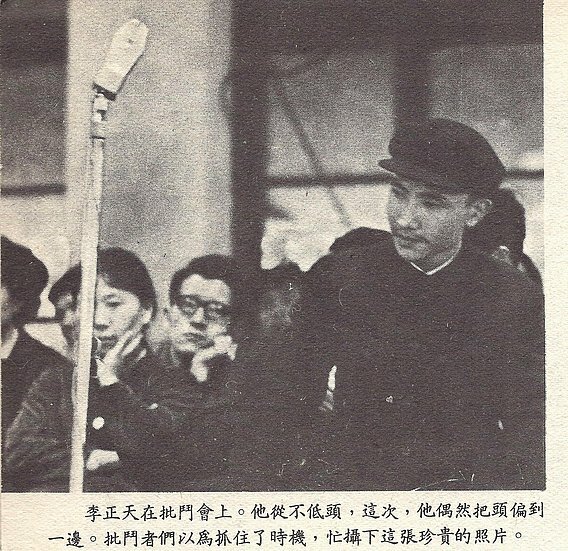 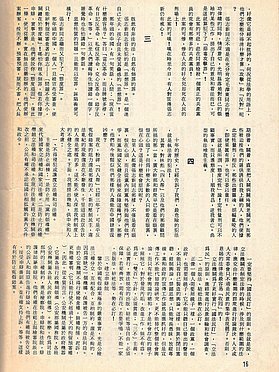 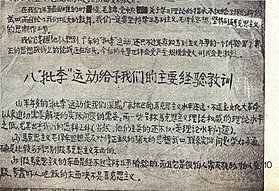 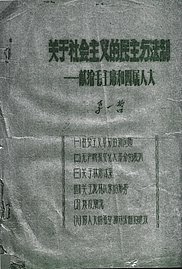 "Bloody Warning" - in August 1979 Li Zhengtian was invited by the Guangzhou party newspaper "Nanfang Ribao" to write an article on the fate of Zhang Zhixin who had been tortured and eventually executed in 1975 for criticizing Mao.